Nikki Cross is one of the more upcoming women superstars from NXT. Her character is known for being crazy. 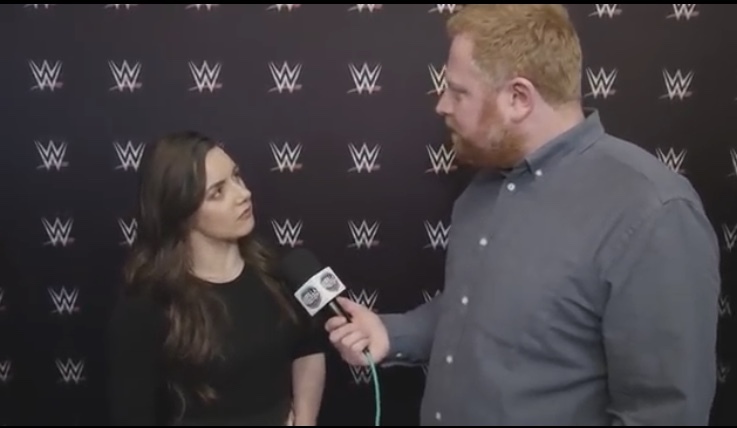 However, she recently had an interview with The Gorilla Position, where she covered numerous of topics, including the one who is the mastermind behind her character in WWE. This is the very first time fans will see Cross out of character. When wrestlers are out of their character, it is always pretty cool to see. One of the things Cross talked about was how none of her friends watched wrestling and that she couldn’t really talk to any of her friends about it because they never watched it. Once she got into wrestling school and started her career, she finally found a place where she belonged and where she can talk about wrestling all the time. Cross also revealed who was the mastermind behind her crazy character. It also seems like you can tie-in what she said above because her character certainly does not fit in with some of the characters we normally see in the WWE. However, in a situation like Cross, no matter how crazy the character is, you can still be pretty successful in whatever you do. Cross has had a pretty successful run so far in the WWE being with NXT. She also was successful in other wrestling promotions, like Pro-Wrestling: EVE, where she was a three time champion. She was also a W3L Women’s Champion with the World Wide Wrestling League. It isn’t known as of yet which brand Cross will stay on, but she has been appearing on Raw and SmackDown! Live a couple of times throughout the year. Superstar Shakeup is this week for the WWE, so we will see for sure what brand Cross ends up in and where we can see her character evolve even more.